The mill partners with Harrison County schools by purchasing all their waste paper, recycling it and turning those funds back over to the schools. The Fairmont operation is also working to replicate a similar partnership with schools in Marion County. Located along the Monongahela River in Fairmont, West Virginia, the mill employs close to 100 people and produces 218,000 air-dried metric tons of 100% recycled bleach kraft pulp annually. 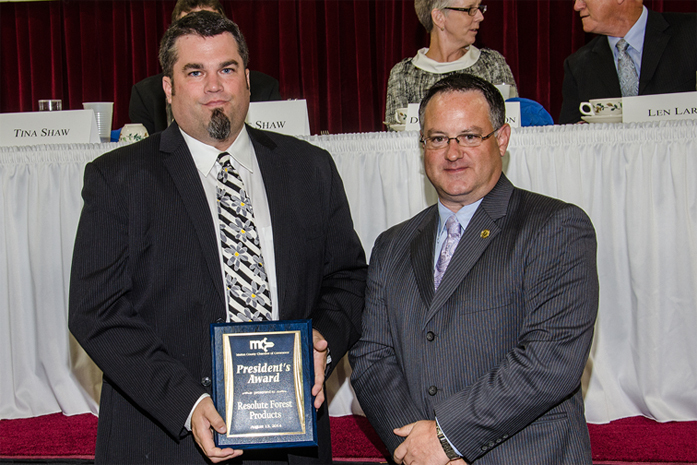 Cutline: Brian Wilmoth, General Manager, Fairmont mill (left) receiving the award from Jay Rogers, City Manager.